When this picture appeared in one of the Phantasy Star artbooks, it was captioned with, "A clutch of heroic ladies. Beauty is courage in battle and first-rate techniques." Can anyone argue with that? I don't think so. 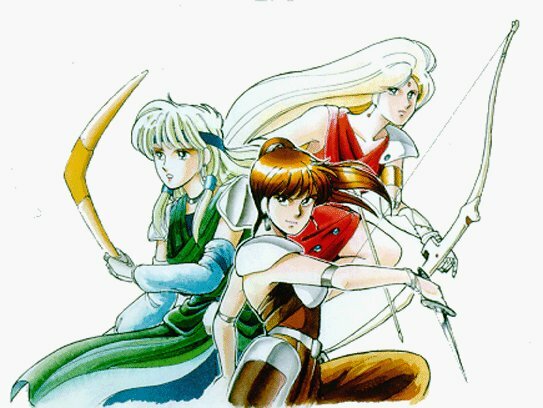 Sari, Alair, and Laya are some of the most courageous ladies in any Phantasy Star game. This is also, I believe, the only official SEGA published artwork of Alair or Sari. It is a shame they did not get more coverage. I wonder if Alair was planned as a playable character, since the other two ladies here were such?